West Ham United Want 17-Year Old Championship Starlet: The Next Andy Carroll? Andy Carroll, the 28-year old West Ham United forward had a very promising career. After bursting onto the big stage with Newcastle United, Carroll made a big money move to Liverpool. The striker, brought in to Anfield for €41m, promised an illustrious career. Carroll made his mark in the Premier League because of his style of play. At 1.93m, and a broad build, he could physically fight off any defender and his left foot had a sweet strike. Add to that, his keen eye for goal, Carroll was the typical number nine, English football had in the yesteryears. He could hold up play, move the ball and find a way to finish off moves with goals. Six years since his move to Liverpool, things have fallen apart for the Englishman and Carroll is now plying his trade for West Ham United. 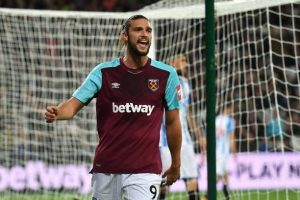 Reports coming out of West Ham United are saying that West Ham have identified a new player, who they find very similar to Carroll. 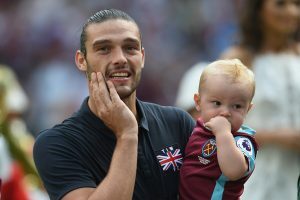 Connor Simpson, the teenage sensation, being dubbed as the “New Andy Carroll” has been compared to the 28-year old because they are both 6 foot 5 inches tall, have a strong left foot and have a similar style of play. The 17-year is currently playing for Hartlepool and has scored his first professional goal last month. Three clubs are interested in snapping up the young man from Hartlepool. It is believed that West Ham United are however leading the chase for his signature ahead of West Bromwich Albion and Swansea City. Simpson is yet to sign a professional contract and West Ham are hoping to lure in the player for a meagre £60,000 before that. Simpson does not turn 18 until January and that gives West Ham enough time to complete the deal. Although, should the player continue to make first team appearances and score more goals, the price of the deal is likely to go up. He made his Pools debut in League Two last season coming off as a substitute at Cheltenham. Simpson’s first goal was against Maidstone on September 2nd, in a 3-1 win. Should the move to West Ham United go through, Simpson will hope to learn from Carroll and improve his overall game. Similar aspects of play will make Carroll the perfect mentor for the 17-year old. However, Simpson will hope to go one step further than Carroll and not lose his level at the top if he does make it to the top of English football. Crystal Palace Top Of January Wish List For Rangers: A Boyhood Fan Who Belongs Here? Newcastle United Interested In West Ham United Striker: Can He Solve Their Offensive Woes? 3 Players Stoke City Can Target Next Season Including This West Ham United Forward! Celtic Linked With This West Ham United Star Forward: Is He A Good Option For Rodgers? Tottenham Hotspur Eyeing A Move For This West Ham United Striker: Right Call By Pochettino?